This composition (op. 15, 1855) was written by Smetana in response to the loss of his beloved daughter Bedřiška, the conventional form here is satisfied with contents and emotions. 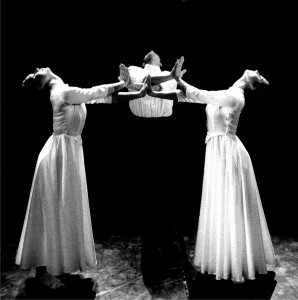 In his dance composition, Pavel Šmok, not only follows sensitivem the musical form of the trio as it is characteristic for him, while at the same time tries to convey the very personal and tragic thoughts and emotions which underly it.